Islam and Britain has a long history that stretches back to the medieval period , only within 150 years after the death of Prophet Mohammad (Peace and Blessings be Upon Him). In times of colonial expansion and more exposure to different faiths and cultures, Islam began spreading with a number of Victorian and Edwardian converts in the 18th and 19th Century, such as the influential William Henry Abdullah Quilliam. The converts were after some years joined by their brothers in faith from some post-colonial settlements, when the British Nationality Act was passed in 1948. This allowed people from ex-colonies to gain Commonwealth Citizenship (FutureLearn, 2014: 2.3-2.8). Starting with India, sailors arrived as part of their recruitment by the East India Company. The presence of Muslims slowly increased with Bangladeshis from Sylhet working at restaurants, according to records as early as 1873 in London. With growing demands of workers in ports and ships, Muslims from Egypt and Yemen started to arrive and naturally set up their own communities in the UK (BBC Religions, 2009). The settlement patterns thus reflect post-colonial demands for industrial trade and skills of migrants, which means that British Muslim communities are overwhelmingly urban. Drawing from statistic published in the 2001 UK Census, it appears 40% of Muslims live in the South East of England, largely populated in London. For this reason, one tends to find the largest British Muslim communities in city areas with great economic activity of the Midlands (Birmingham, Nottingham and Leicester) and the North (Glasgow, Manchester, Bradford, Sheffield and Leeds) and port-cities (Cardiff, South Shields and Liverpool) (FutureLearn, 2014: page 2.10). More recent analysis of the 2011 UK Census, published by the Muslim Council of Britain (MCB), reveals that Muslims make approximately 3 million (exactly 2,706,066), which is 4.8% of the British population. Out of the 2,706,066 Muslims in the UK, there are 1,409,290 men and 1,296,776 women. In terms of the age profile, 33% are of the age 15 or under and only 4% are 65 years and more. Most Muslims originate from an Asian/Asian British background(s) and Arabs are the smallest cultural and ethnic group of 178,195 (the MCB, British Muslims in Numbers). 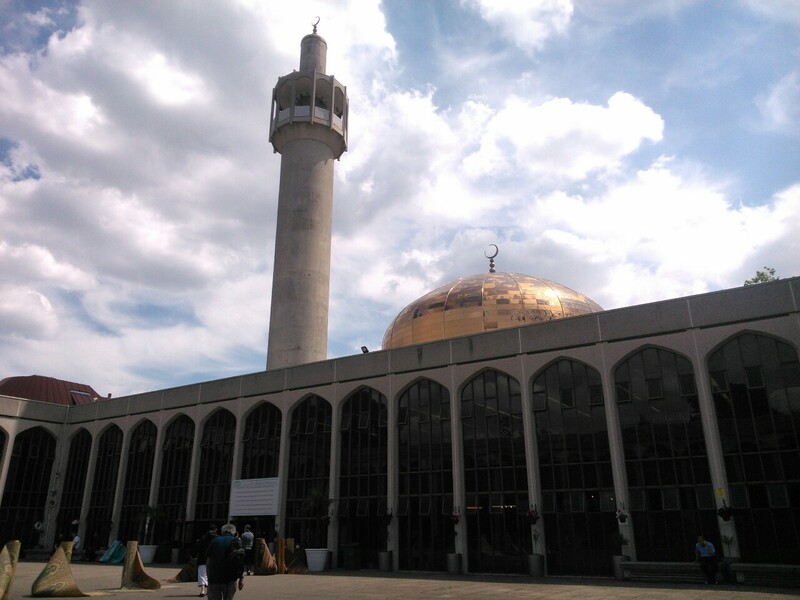 To read the Muslim Council of Britain’s analysis and full publication, click here. Today, most of Britain’s Muslim population descend from immigrants searching for better life-prospects than ones found in their country of origin, mainly India and Pakistan. The first immigrants were men, leaving their families behind until they saved enough money to go back or re-unite with them. While the Commonwealth Immigration Act limited automatic entry to Commonwealth Citizens, immigration still flourished with Asians coming from Kenya and Uganda in the 1970s (BBC Religions, 2009). In conclusion, the economic migration of former colonial and commonwealth workers is the primary element in the history of creating the British Muslim identity, undermining present day notions that Muslims are ‘foreigners’ and have not settled and integrated in British society. On their maps, early Muslim cartographers included Britain. Under the Umayyad Dynasty, Islam spread as far as Spain and France (FutureLearn, 2014, page: 2.3). After his conversion, he made a lot of efforts to publicly promote Islam in the British Empire. This made known by the Ottoman Sultan who gave him the title of ‘Shaikh al-Islam of Great Britain’ and the Amir of Afghanistan who offered him considerable financial resources for investment in the Muslim communities in Liverpool. He was also seen as controversial for being loyal to Britain (who colonised Muslim-majority countries) and yet true to the teachings of Islam. There was an ‘Africanisation Policy’ that at one time resulted in 60,000 Asians being evicted from Uganda by President Edi Amin (BBC Religions, 2009).